If you are ambitious and yearning for that next promotion, it is important that you develop your own formula for success. If you are like many middle managers you have probably attended quite a few lectures and seminars about self-improvement and how to write about career goals. Many of these courses were devised by people who created their own formula and successfully applied them. They have noted down what they did, said, and how they responded to negative situations. Then they created a ‘one size fits all’ approach, packaged it up, and sold it to hopefuls like you. 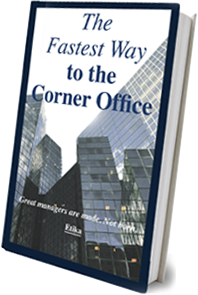 Many of these courses teach managers like you how to write about career goals in various ways. There might be a lot of videos, podcasts, and workshop material wrapped around the main premise of self-improvement. Are these courses a waste of money or do the work? Yes, they do work to a degree. Remember, we are all different and are working in different environments. Your career success is reliant on what you do, but also on what others do, including your co-workers and your boss. So, there is bound to be something in each workshop you do that you can use in the workplace. If you have attended a lot of seminars and workshops, and gotten nowhere it’s time to reassess and discover your own formula for success. Whatever you do, don’t give up. You might feel exhausted and confused. How could it be that with so many hours invested in self-improvement, you are still stuck when it comes to being an effective manager? Don’t let doubts creep in. Don’t give in to feelings that you aren’t good enough or that you’ve reached the highest point in your career, and that you’ll never be promoted. You’ve got this far in your career because you have the skills and talents needed by your company. You also have experience, you are resourceful, and you are good at managing people. What other positives can you bring to the table? Make a list of all the things that you do have to offer. You can’t be someone else, so why not concentrate on what you have to offer and use them to your advantage? 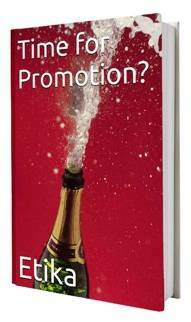 The reason you haven’t been promoted yet comes down to aspects of your managerial style that need improving. 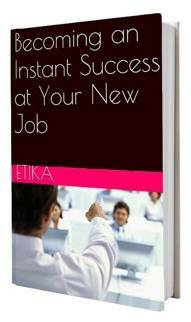 You have been trying to emulate the success stories that you were taught about in all those seminars. You have been trying to adopt habits and procedures that worked well for someone else, but don’t really suit your personality and style. What obstacles are getting in your way? Where can you improve? You need to identify and overcome all obstacles which are stopping you succeed. To do this you will have to be honest with yourself, and realize that change must begin with who you are and not who you think you should be. A well-rounded manager is someone who sees failures and rejections as a way to improve and grow. It is a matter of finding balance between the different priorities. A well-rounded manager always finds the balance between company procedures, team morale, and the company’s bottom line. Becoming a well-rounded manager is about developing something that’s already inside you, and reshaping it in such a way that the next promotion opportunity is yours. The road to success is never short or easy. It can takes years to get that job you desire. However, if you don’t start now it will never happen. Continue to work on your self-improvement, and do those workshops and seminars, but always see the information offered as a way to improve who you are now, not to change you into someone you are not.